NEW! 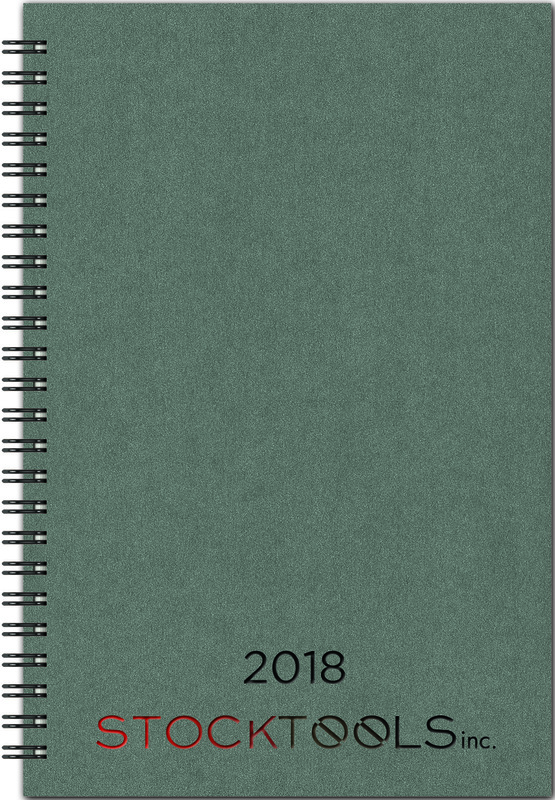 Flexible front cover (choose between GlossMetallic, Linen, or ColorFleck) and black 40 pt. paperboard back cover. 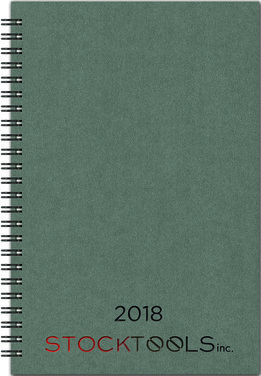 Includes a 12-month planner in front (pages are tabbed for quick reference), and 50 sheets of ruled filler. Black wire binding is standard (more colors available).